Timberle the Tumbling Teddy. 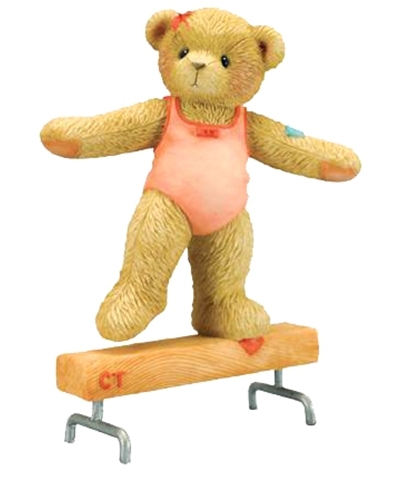 This adorable cuddly bear from the "Cherished Teddies" collection was made for our gymnastic enthusiants, young and old. Timberle comes with her very own beam and an engaging sweet expression on her teddy bear face. 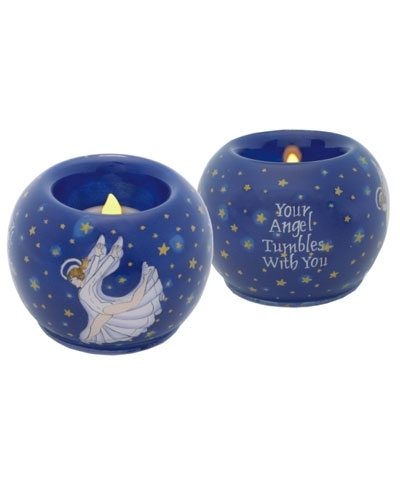 Every piece in the Cherished Teddies collection conveys a sentiment of friendship and love. 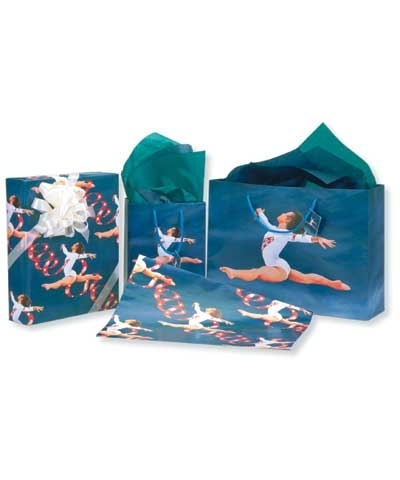 Timberle's is "Friendship Gives Your Life Good Balance". She is made of stone crushed resin and is 4.5" tall. This Cherished Teddy is a Ten.o exclusive figurine.